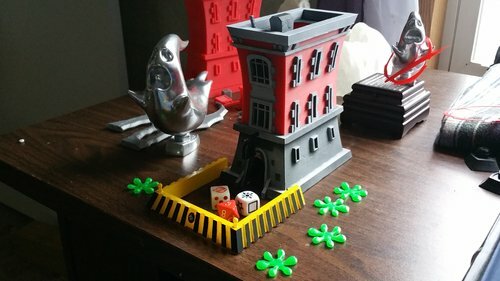 I'm a huge Ghostbusters fan, and wen the board game came out, it included about 100 amazing figures.. but there were a few things lacking, so I decided to make them myself! First I did the slime splats you see pictured, modelled in zbrush. 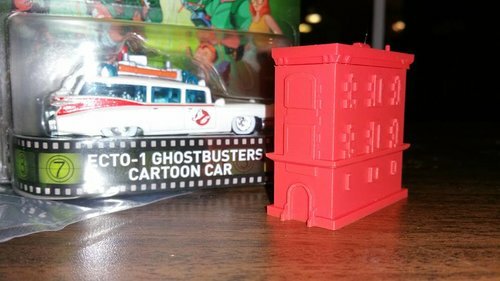 The big project though, was a dice tower based on the Ghostbusters firehouse. The game's figures are based off the comic book artwork, so I decided to do a toon version of the firehouse, based on the old saturday morning cartoon. Learning how a dice tower works, and printing a rough draft version really helped in the design of this. This like the ramps and angles needed to be adjusted so they came out all the time, and as this was one of my first custom designed printed projects, I had a learning curve learning out how to model for printing, and also how to cut something like this up into parts that were then assembled together. 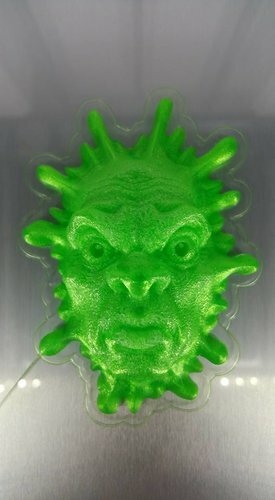 Also pictured is a replica I did of the hood ornament on the new car in the upcoming Ghostbusters reboot movie. 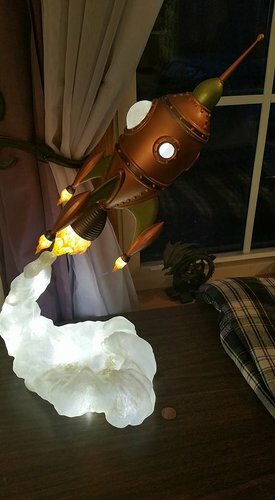 Once I saw the gCreate rocket, I knew I had to print one! It looked like an art statue to me. I've got zbrush skills, and wanted more of a "flame" look to the thrust, so I sculpted the main engine thrust. The rocket print failed the first time, so I grabbed the remix with the supports. I took a look at it in lightwave, and the supports that were added were way too thick on the fins, so I started with the original model, and added thinner supports that would be easier to remove. I wanted to add lights in the windows, and while I had it in lightwave decided for lighted windows I would have to remove the logos. I also needed some way to get inside the rocket, so I sliced the top off it. The main thrust flame came out so nice that I decided to add thrust flames to each of the fin rockets as well. I also modelled a inner support structure to allow the leds to be centered at each of the windows. 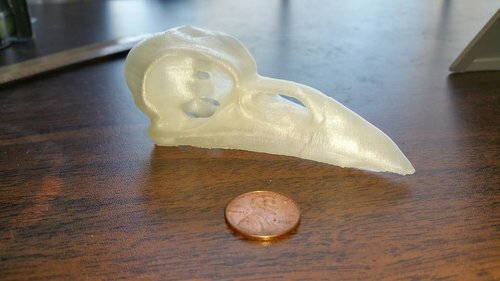 The whole thing was printed complete hollow in matterhacker pro natural 5 lb, and then rattle can and hand painted. 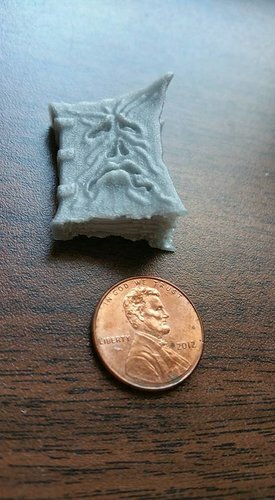 I liked the melty face here, so I did a frowny resculpt of it! Ultimaker silver filament included with the printer, .04 nozzle, .08 layer height.